Here’s one for the friends in our lives who have succumbed to the charms of chickens. 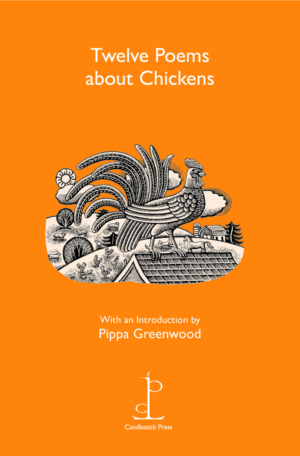 A dozen poems celebrate their quirks and curiosities, with chickens increasingly kept and cherished by besotted owners whose gardens and smallholdings will never be the same again. Cover illustration by Beth Krommes.